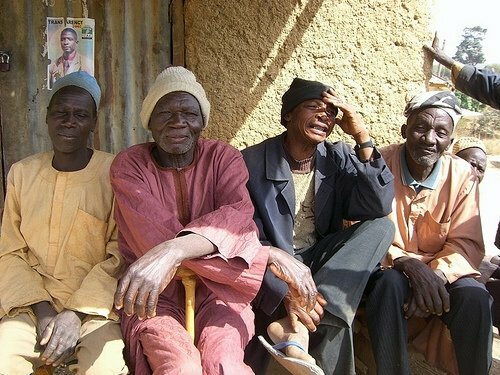 In early 2008, Brad travelled to Nigeria with a group from our church. Our church has a passion for the people of Nigeria and for providing them with the means, supplies and training to drill for clean water. Did you know that every 15 seconds someone in our world dies of a waterborne illness? That is over 2 million people a year- and most of these people are children. When you flush a toilet just once in America, you’ve used more water than rural African families have for an entire day of washing, cleaning, cooking and drinking. 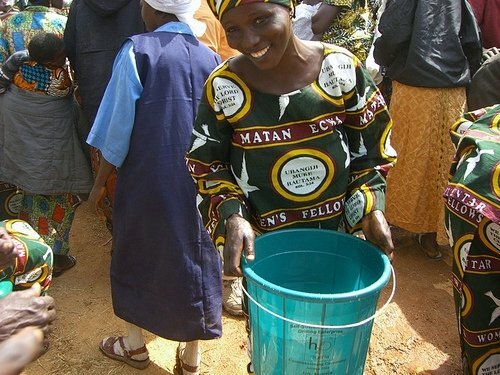 When our church met with Nigerian tribal leaders, the main concern was fresh and clean and safe water. Knowing all of this, the church felt compelled to help. 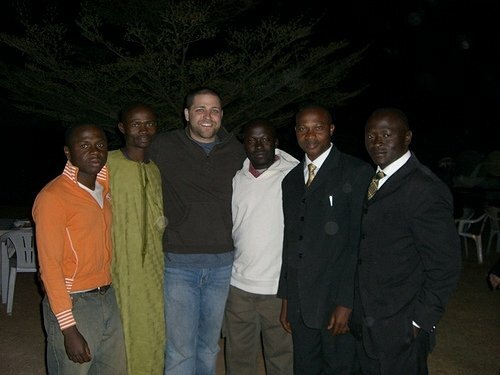 Brad traveled to Nigeria for the first well commissioning. And he came back changed. One of the things that left the most indelible impression on him was the joy that bubbled up from nearly every Nigerian he met. These people, who have every reason to be unhappy with their circumstances, were a joy-filled people. Makes you wonder, doesn’t it? Perhaps those people know something about simple living that many of us spoiled Americans will never understand. 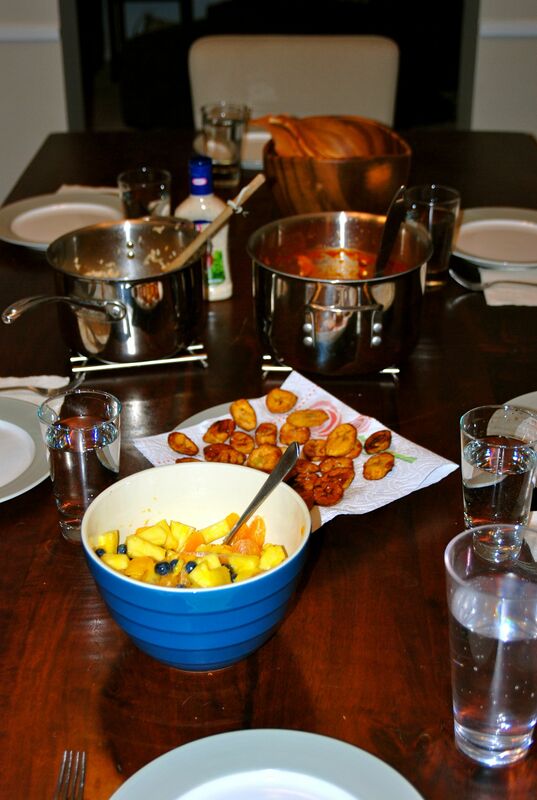 Anyhow, while Brad was in Nigeria he ate lots and lots of local food. One night, a village killed a goat for their honored guests. And they eat every single part of the goat- yes, every single part. Brad said that the goat was delicious, but he was grateful they ate it late at night by firelight so that he couldn’t see exactly what he was putting in his mouth. 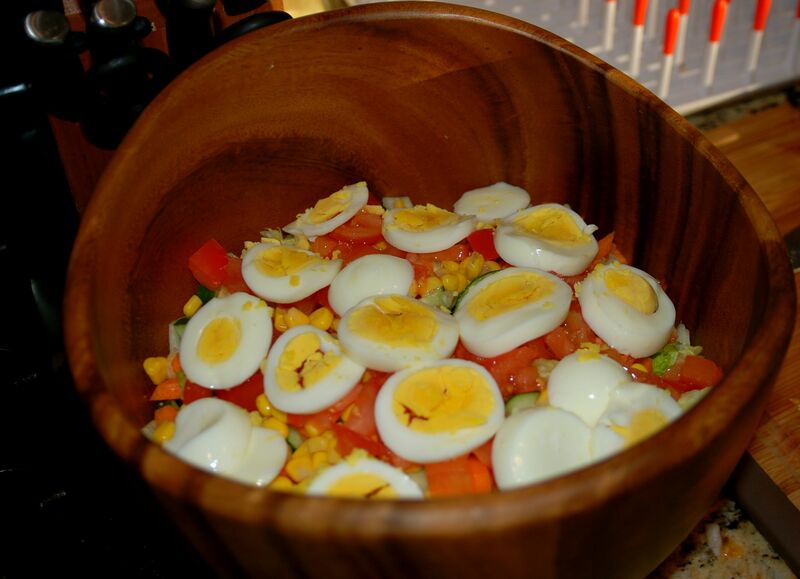 For this week’s recipe, I got some really good recipe ideas from one of Brad’s fellow travelers, Kande. 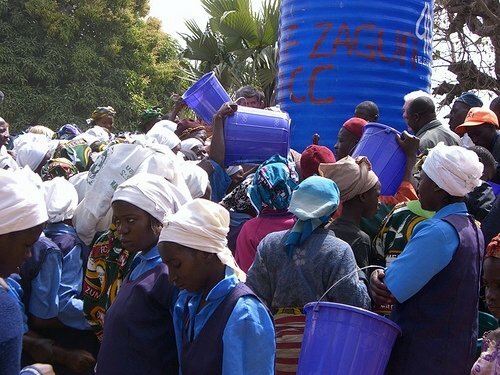 In fact, Kande led the Water for Nigeria project at the church and has been there several times. She’s good people. For my meal I was cooking for six. Our friends Joe and Debbie were headed our way with their two boys, Eli and Aidan. 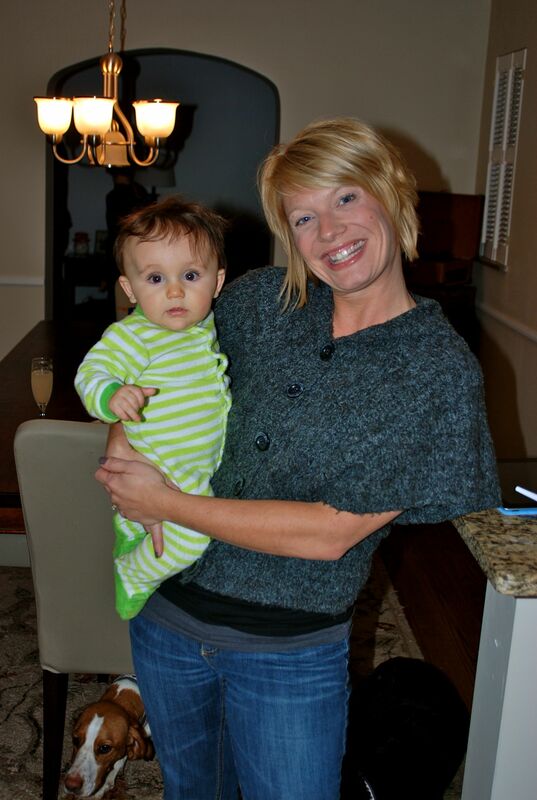 I’m not going to lie… I had a frozen pepperoni pizza on hand just in case the boys weren’t digging the Nigerian food. It is one thing to cook new international recipes for adults that will pretty much politely choke down the food you put in front of them. But I felt the added pressure of pleasing the pallets of the fine young men joining us. I found a recipe for a Nigerian salad. On the Internets. And it told me to pretty much make a normal salad and then add cooked potatoes and baked beans. I had fully intended on doing that until I realized that I had neither potatoes or baked beans. 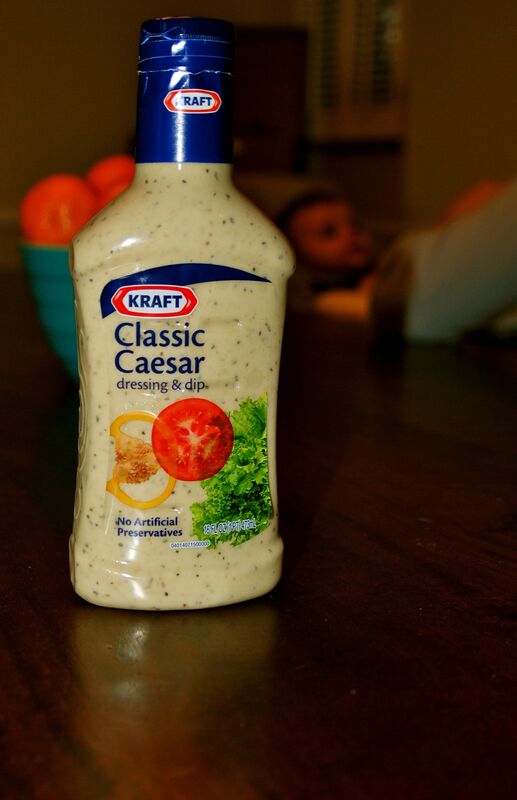 So, here is my salad. Very Nigerian, I would say. Right? 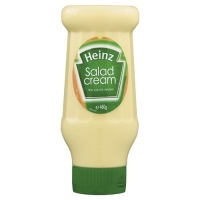 Then, the Internet told me that Nigerians love Heinz Salad Dressing. Finding this stuff in Cincinnati is like finding the Loch Ness Monster. I’m confident it doesn’t exist. So, back to the Internet. 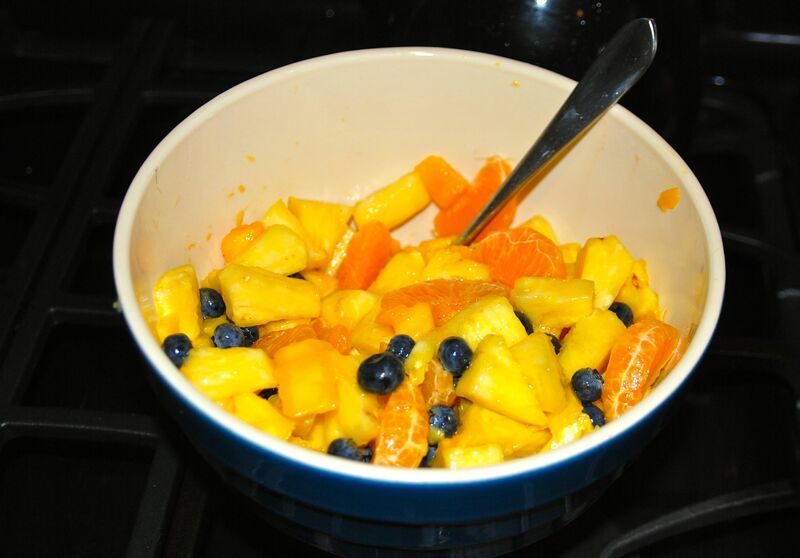 Then, I made an authentic Nigerian fruit salad. Pretty sure blueberries aren’t authentic at all. But my salad needed color and blueberries needed eaten. 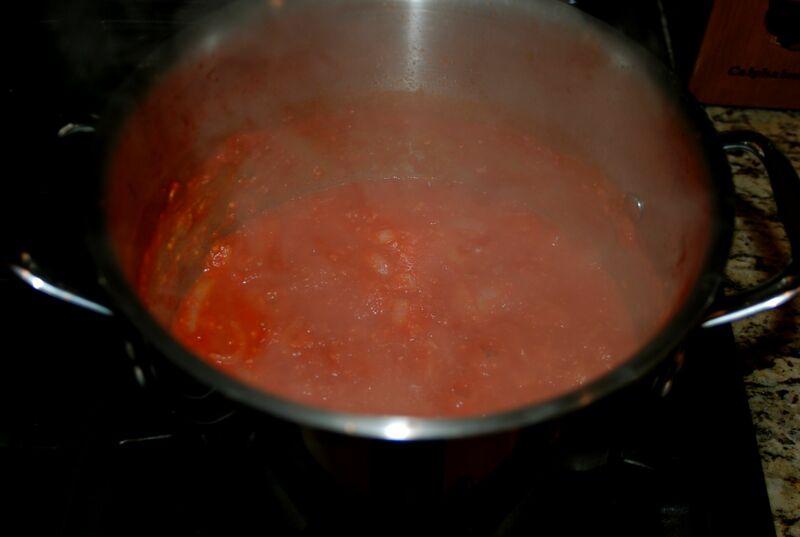 For the main dish, Kande told me I had to make red stew for dinner. It is her favorite. Want to know what is so great? I found a Nigerian woman cooking this red stew on YouTube, and she gave me step by step directions. You can’t beat that kind of cooking tutorial, right? 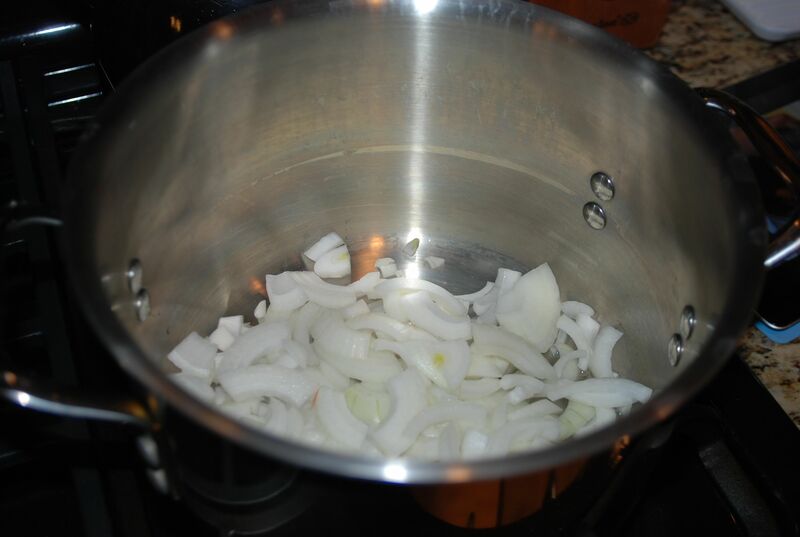 The idea is that you cook the onion, pepper, garlic and tomatoes down to concentrate the flavor. 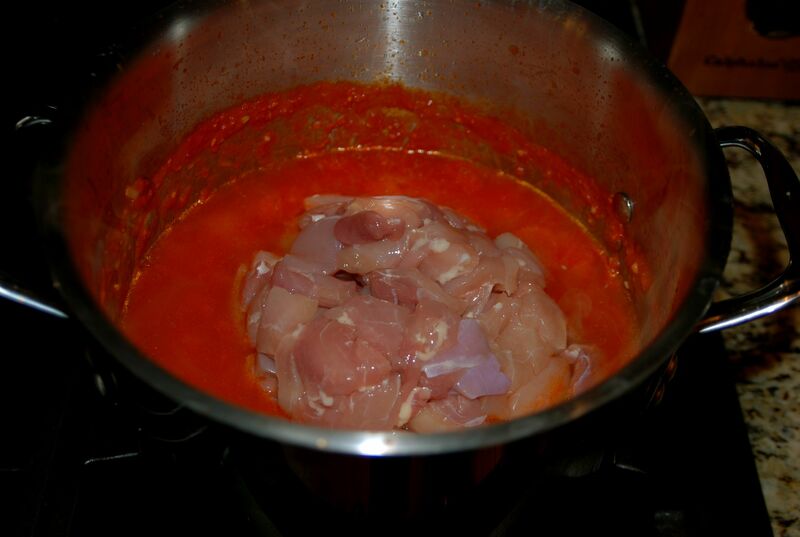 Then add water and chicken to cook the chicken through. Authentically, you would use scotch bonnet peppers. Those were hard to find, and habaneros are the next best thing. Warning: do not mess with these peppers with your bare hands. You can burn your hands. I’m not kidding. These guys are no joke. 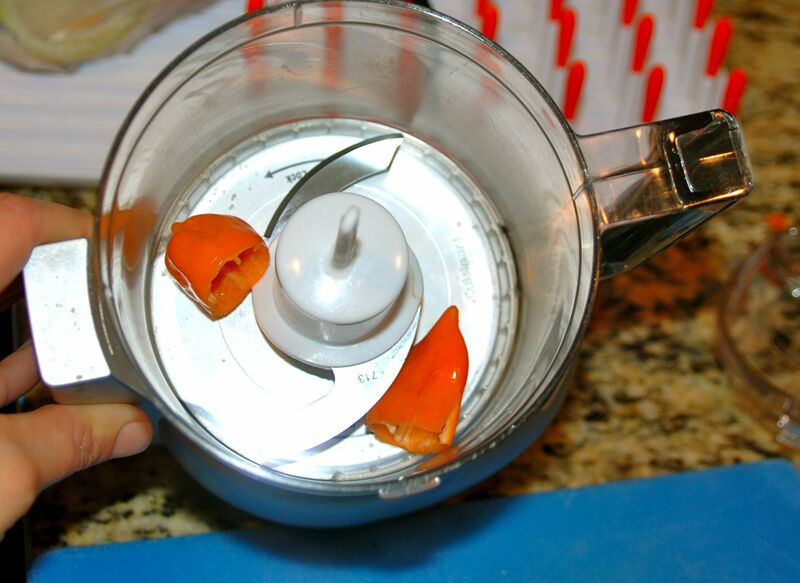 I carefully sliced off the tops, and I let my food processor do the rest of the work. 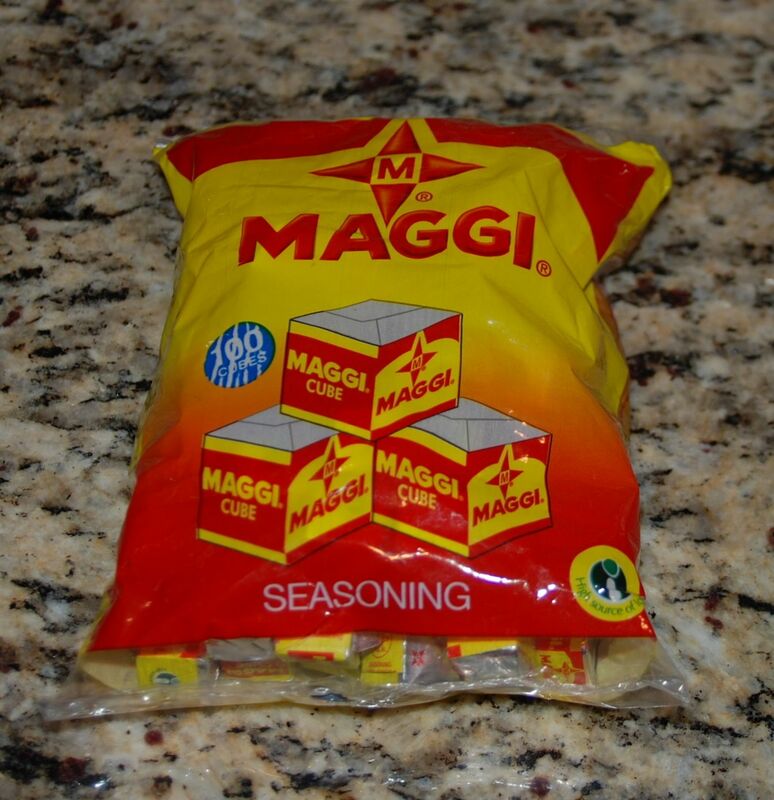 Kande told me that I had to use these Maggi cubes, and my You Tube teacher told me the same thing. Maggi cubes are basically a beef stock cube. But, if you don’t have an international market nearby (that happens to stock African cooking supplies), go for the beef stock cubes (beef bouillon). They will work just fine. Here is all of the goodness boiled down and ready for the meat. You know, instead of goat. I was adventurous using both light and dark meat. Because I’m crazy like that. 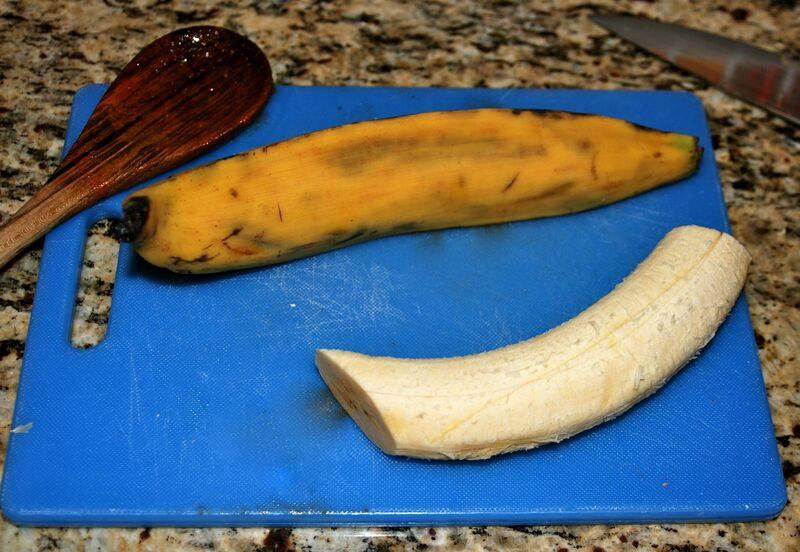 I fried up some plantains to serve on the side. And I cooked up some rice to serve under the stew. I’m confident that 10 minute boil-a-bag rice is not at all authentically Nigerian. 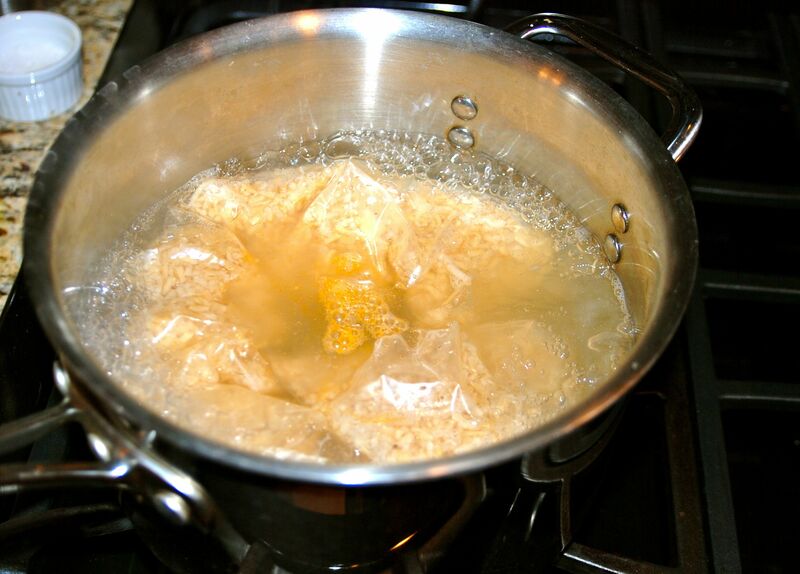 But I’m pretty bad at cooking rice correctly, so boil-a-bag it is! Know what makes the food even better? Seriously, this red stew was amazing. 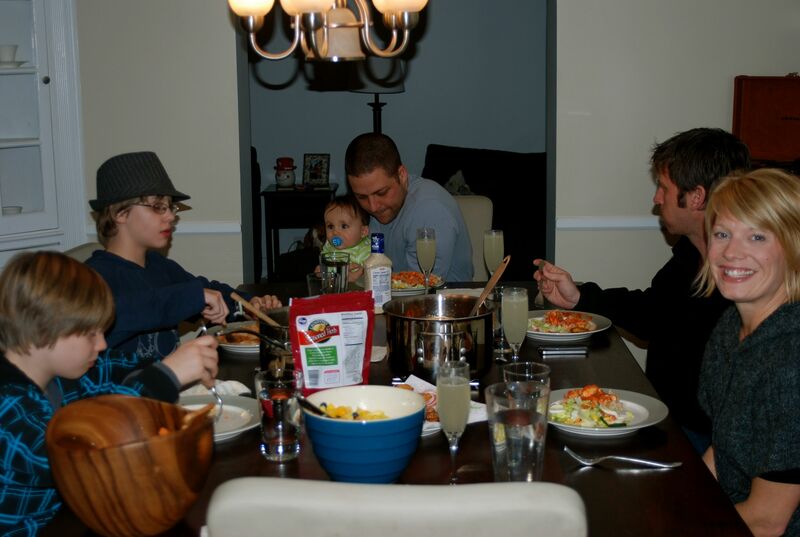 And all of us- kids included- loved the food. There was pretty much no leftovers. The red stew was hearty and delicious. It reminded me in a lot of ways of Indian food- spicy, savory, flavorful stewed chicken. But the flavor was distinctly different. Brad declared that Nigeria may just be his favorite International meal to date- either Nigeria or Morocco. 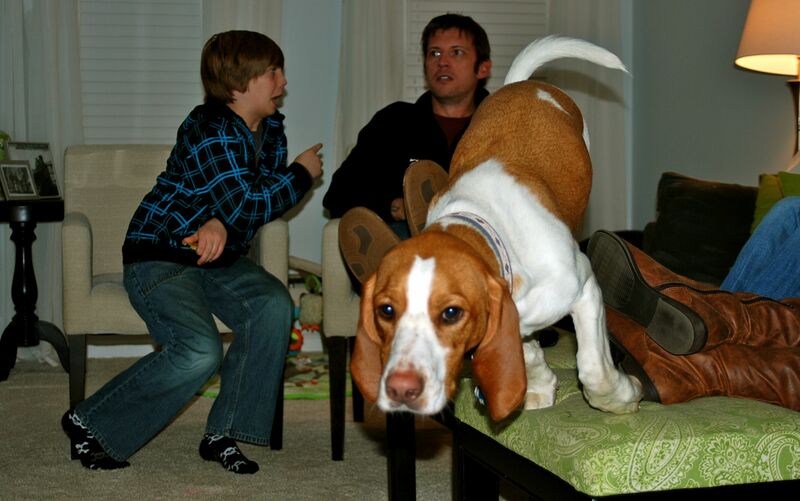 And Henry… well, he loved the extra attention he received. 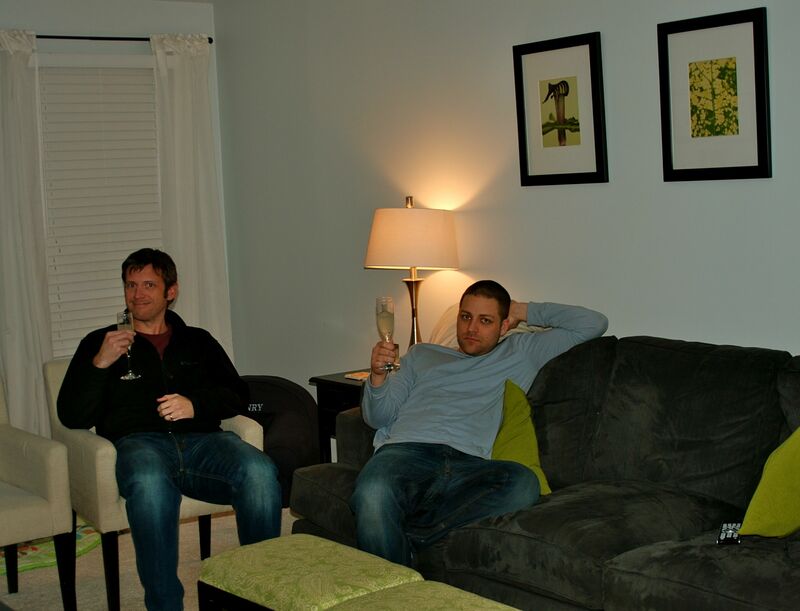 And the boys loved the manly drinks I served. Well, she just loved it all. P.S. For all of the recipes above, click here. I love your wild side Leah, dark and white meat chicken! I would have done the same. Have not tried goat before, but I’ve heard it’s delish. Still not goin’ there though. Everyone sounds and looked like they had a great time and a great meal. Love the updated Henry pick. Yay! He’s quite the handsome guy and so were the other kids at your table. The stew sounds fab! What a fantastic collection of recipes! I love that you tried so many new things. That stew sounds delicious.